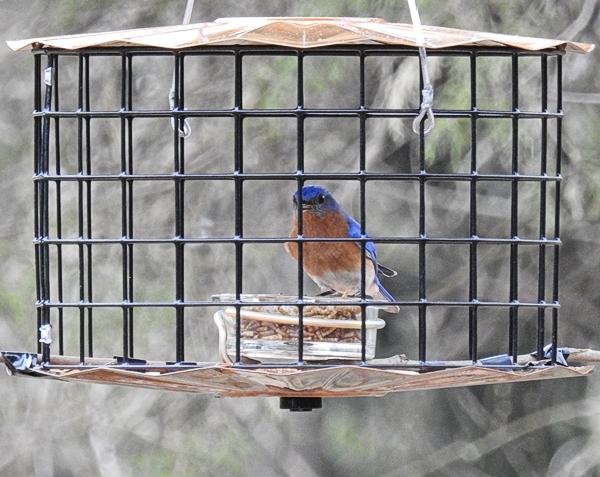 After spending many weeks trying to offer dried mealworms to Eastern Bluebirds, Carolina Wrens and other small birds without European Starlings eating most of them, I finally have a winner! I started with tossing some into platform feeders, then switched to a small Squirrel Buster Standard feeder that I tried to retrofit an endless number of ways to keep the starlings out. I finally gave in and purchased Erva’s Mealworm Feeder from Amazon, part of their “Starling Proof Feeder” series. 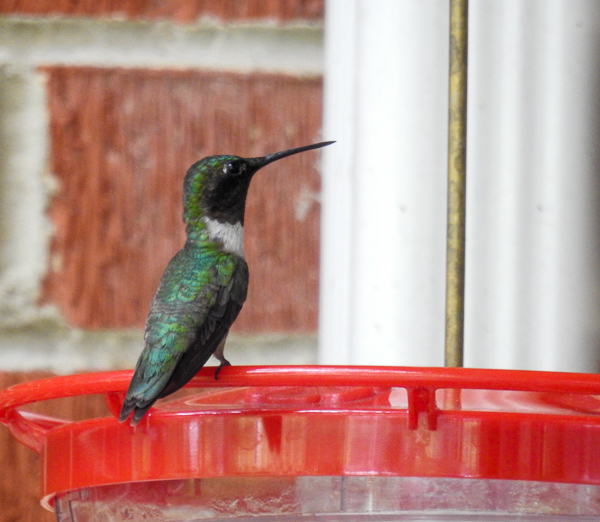 (I couldn’t find this feeder locally.) After watching starlings repeatedly try and and fail to get into this feeder off and on for days now and only getting scraps around the edges, I am declaring it a success!